Sometimes it is very hard to find the perfect accommodation for your holiday. If you are a very organized person and prefer to plan ahead every detail in order to make sure that it will be a memorable experience in a positive manner, you can find a great number of online sources such as forums and blogs that can help you. If you are not a tourist, but the real deal traveler, then you will certainly discover all the beauties of London by yourself. However, this does not mean that you cannot book your staying in advance. This way, you get cheaper prices of airplane tickets and low cost hotels. 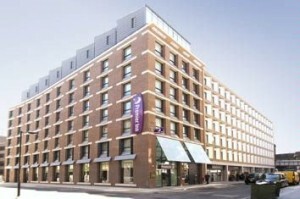 An example of a beloved accommodation is Premier Inn London Southwark. This hotel will pleasantly surprise you with accessible quotes and extra comfort. A good night rest is very important for people that plan on visiting all day long. As London has to offer many great landmarks and means of entertainment, start with the ones located at a few minute walk from Premier Inn London Southwark. For example, shop in the Southwark Borough Market, enjoy a theatre play at Shakespeare’s Globe, visit Tower Bridge and see the famous Shard. Come back to your spacious room, eat a delicious meal at the local restaurant and just relax. In order to get a Luton Airport to Premier Inn London Southwark Transfer by rail there are two main options. First of all, you could take the bus from Luton Airport Bus Station (every 10 minutes), followed by a train from Luton (every 30 minutes) and King’s Cross St. Pancras (every 5 minutes). This journey will take about 54 minutes in total. The second option is the bus from Luton Airport Bus Station (line 757 – every 30 minutes), followed by a Tube from Baker Street Underground (every 5 minutes). This journey lasts about 1 hour and 16 minutes. A Luton Airport to Premier Inn London Southwark Transfer by car can be done by taking the M1 motorway. Luton Airport is at a 36.2 miles distance from Premier Inn London Southwark. This journey will take about 60 minutes, without including traffic. A Luton Airport to Premier Inn London Southwark Transfer with 247 Luton Airport Transfer is going to take about 1 hour and 29 minutes, including rush hour traffic. The price for a Luton Airport to Premier Inn London Southwark Transfer starts from 58 GBP.